Author: Marjorie Agosin. Translated from the Spanish by E. M. O'Connor (as far as I can determine, the English edition is the only edition, and the book has not been published in Spanish). Publisher: Aetheneum Books for Young Readers, 2014. 454 pages. Eleven-year-old Celeste Marconi has a great life in Valparaiso, Chile. She loves words, school, her family and friends, and everything about her life on Butterfly Hill. But when the country is taken over by Pinochet and his violent dictatorial regime, life begins to unravel. Before it is done unraveling, she is separated from her family and living in Maine, in the United States. Celeste must learn to cope with a very different climate, culture and language before she can put her life together again, even as her country must put itself back together again. This is a beautiful book. The author is first and foremost a poet, and it shows (major kudos to the translator, as well, who has made the language work beautifully. That is no small feat in a work that is so concerned with words and language). I can really see the city of Valparaiso in the first part of the book, and each character is well painted in words, not so much their appearance, as their natures. The story is very moving as well. Celeste is just at the point of waking up to the privileged life she leads, and is feeling the need to think and write about it, in contrast to the lives of the poor around her. When Pinochet takes over the country in a very right-wing coup, it becomes "subversive" to even talk about equality and helping the poor. 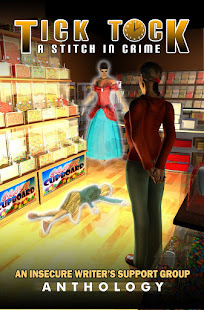 She struggles with her awakening to the world around her just as that world gets ugly. 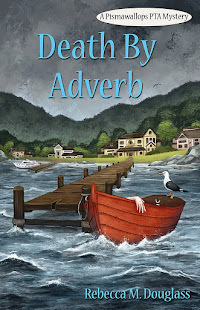 When Celeste is sent to Maine, again we see it as especially hard for a child who is in love with words and language--though that love serves her well as she learns English. The time there is passed over rather quickly. I had assumed, reading the blurb, that the book was really about her adjustment to life in the US. In fact, it is about her life in Chile--and learning the meaning of family, country, and caring. There is a gripping and suspenseful side to the story, as Celeste's parents must go into hiding, and she leaves her grandmother and Nana behind when she goes into exile, but in the end my feeling was that the story wasn't so much about that as about her inner growth. And, as mentioned, the meaning of love and family. This isn't a completely easy story. The nastiness of the Pinochet regime isn't graphic, but it's not glossed over, either. I would recommend this mostly for kids of about Celeste's age--from 11 up, as some of the ideas and imagery might be a bit strong for younger children. There is just a hint of romance, more a whiff of Celeste's awakening to the idea that boys might be something other than pals. 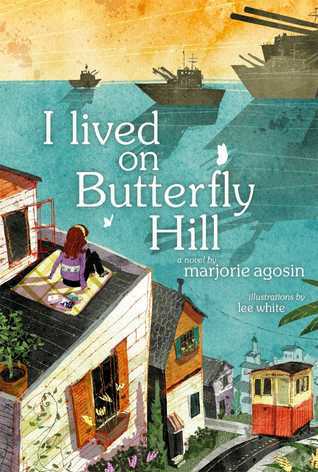 Full Disclosure: I checked I Lived on Butterfly Hill out of my library, and received nothing from the writer or publisher in exchange for my honest review. The opinions expressed are my own and those of no one else. I am disclosing this in accordance with the Federal Trade Commission's 16 CFR, Part 255: "Guides Concerning the Use of Endorsements and Testimonials in Advertising."